Oxford Grice et al. Adult norms for a commercially available Nine Hole Peg Test for finger dexterity. Am J Occup Ther. 2003 Sep-Oct;57(5):570-3. 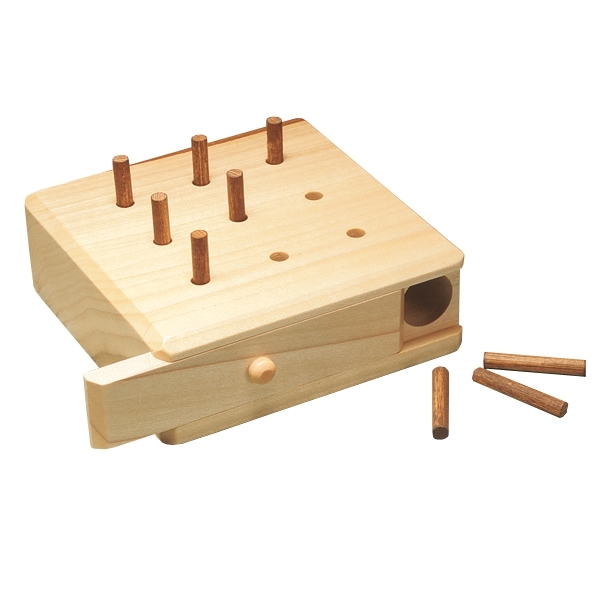 The Nine Hole Peg Test is commonly used by occupational therapists as a simple, quick assessment for finger dexterity. The purpose of this study was to evaluate the interrater and test-retest reliability of the commercially available Smith & Nephew Rehabilitation Division version of the NineHole Peg Test, and to establish new adult norms for the Nine Hole Peg Test for finger dexterity utilizing this particular version. Two of the researchers established interrater and test-retest reliability by evaluating 25 occupational therapy student volunteers. Seven hundred and three subjects, ranging in age from 21 to 71+ years, were tested to establish norms, using the standard protocol. Results showed high interrater reliability and only moderate test-retest reliability. Scores obtained by using the commercially available version were not statistically different from previously published norms (Mathiowetz, Weber, Kashman, & Volland, 1985). This study supports the original norms and further assists occupational therapists to evaluate dexterity accurately. Could a template of the cardboard 9-HPT be made? Then we could download it, print it off on card, cut it out, fold and glue together. I think it could be fairly simple to put together, then we could just buy pegs or golf tees for pegs. Having difficulty with left hand, will we be able to buy a 9-HPT from the stand at Excel this weekend? Maybe a spec that could be 3D printed?